Kinh tế học: Does a tax on junk food make sense? (Economist 30-7-09) — Should read the weird JPE piece mentioned! WASHINGTON — What if in the end they got it right? What if, amid all their missteps and all the harsh criticism, the people in charge of battling the worst financial crisis since the Great Depression — Ben Bernanke, Timothy Geithner, Lawrence Summers, Henry Paulson and the rest — basically succeeded? It is clearly too soon to know for sure. But the evidence is now pointing pretty strongly in one direction: history books may conclude that the financial crisis of 2008 turned out to be far less bad than it could have been and that Washington deserved much of the credit. The Labor Department announced Friday that the economy lost fewer jobs in July than in any month since before Lehman Brothers collapsed last fall. Credit markets no longer look anything like they did after Lehman’s collapse and are in considerably better shape than just a few months ago. Stocks are up almost 50 percent from their March low. “It’s over,” the economists at Barclays Capital declared Friday, referring to the Great Recession. Washington’s early responses to the bubbles in real estate and stocks, and then to the crisis that followed, were full of mistakes. But since the collapse of Lehman Brothers, the record has started to change. The government has undertaken one extraordinary effort after another to revive the economy, and the economy has seemed to respond. Last September, the Fed, the Bush administration and Congress pushed through an unpopular $700 billion bailout plan to keep other parts of the financial markets from collapsing. In subsequent months, the Fed — the subject of much recent criticism from both Democrats and Republicans in Congress — quickly propped up individual credit markets when they sagged. And the Obama administration, having failed in its early weeks to calm the financial markets, eventually managed to do just that. It pushed for a stimulus bill, over unanimous Republican opposition in the House, that is certainly imperfect but that has already saved more than 500,000 jobs, according to separate estimates by two prominent research firms, IHS Global Insight and Moody’s Economy.com. The White House also endured withering criticism from liberals who argued that credit markets would remain dysfunctional without a government takeover of banks. Many people, of course, would not be so charitable. And that’s understandable. The economy remains in very bad shape, and economists think the unemployment rate still has further to rise. Most confusing of all, no one can know how bad — or how good — the economy might have been if the government hadn’t pursued the aggressive policy it did. But there are certainly some clues. A central piece of the Obama administration’s and Fed’s joint financial strategy was the banking stress test. The results of those tests, which showed the system to be in better shape than many (including — full disclosure — me) believed, began to leak in early May. Immediately, credit markets started improving. The TED spread, a comparison of interest rates that measures market fears, fell 43 percent over the next three weeks and is even lower today. As for the stimulus, economies in countries that enacted relatively large programs, like the United States, China and Australia, have survived fairly well this year, relative to forecasts. Countries that enacted smaller programs, like France, Italy and India, have not done as well, as Christina Romer, a top Obama adviser, pointed out this week. But the best clue may be history. Washington did not respond proactively to the financial crisis of 1929, and the Great Depression ensued. Japan didn’t respond to its 1990s crisis with much force, and its economy languished. Even the past year makes the case. On Sept. 14, 2008, policy makers allowed Lehman to go under. Financial panic ensued. Indeed, one notable aspect of Washington’s recent successes is that they have been fashioned by the same people who helped aggravate the crisis. Mr. Paulson, then the Treasury secretary, made the main call to let Lehman collapse, as David Wessel, economics editor of The Wall Street Journal, reports in his new book on the crisis. But within days, Mr. Paulson was on Capitol Hill arguing for the $700 billion bailout. Mr. Bernanke played down the housing bubble as a Bush administration adviser and at his 2005 confirmation hearing. Once the crisis began, he oversaw perhaps the most forceful policy response in the history of central banking. Mr. Geithner may be the most fascinating character in the drama. As the president of the New York Fed, he failed to raise alarm about the Wall Street strategies that made the crisis possible. In his early weeks as the Obama Treasury secretary, his uneven performance led a few House Republicans to call for his resignation. In White House meetings, some advisers told Mr. Obama that they were worried the Geithner approach wasn’t aggressive enough. That could still turn out to be the case: credit markets aren’t yet normal, and jobs are still disappearing every month. And some of the administration’s specific programs, like the public-private partnership to buy toxic bank assets, have fallen flat. But the sum total of the response has been to erase a pervasive sense of fear in the markets and to allow lending to resume. Having done that, the White House and Fed face a new set of problems. Mr. Bernanke will have to decide how slowly to withdraw the Fed’s enormous interventions. Mr. Obama will have to sell Congress on an agenda that he has vowed will move the economy away from its boom-and-bust cycles. On every item of that agenda — health care, energy, financial reregulation — there are reasons to wonder whether Mr. Obama and Congress will end up with a bill that makes a big difference. Just look at the record. Washington may be in the process of proving that it can halt an economic crisis. But it utterly failed to keep that crisis from occurring. At some point, the Great Recession will end. Newsweek even says it’s already over. Whenever it happens, we will see that the downturn was but a minor blip in the long story of the economy. In the next chapter, abundance beckons — for some. Advances in technology drive economic growth, and there is no sign that they are slackening. The American economy is likely to continue unabated on the upward path that began with the Industrial Revolution. No, the economic problems of the future will not be about growth but about something more nettlesome: the ineluctable increase in the number of people with no marketable skills, and technology’s role not as the antidote to social conflict, but as its instigator. The battle will be over how to get the economy’s winners to pay for an increasingly costly poor. Last weekend Treasury Secretary Timothy Geithner and Lawrence Summers, the director of the White House’s National Economic Council, refused to rule out raising taxes. Despite the White House’s subsequent denials, this may be an early acknowledgment of an inexorable trend. In a future with higher taxes, the divide between rich and poor would be the central economic challenge. Why have the unskilled fared so well? After all, machines — whether steam engines, internal combustion engines or electric motors — have replaced people as deliverers of brute force. But even today they cannot replace many of people’s manipulative abilities, language skills and social awareness. The hamburger you eat at McDonald’s is still put together and delivered to you by human hands; even a fast-food “associate” deploys an astonishing repertoire of spatial and language skills. I recently carried out a complicated phone transaction with United Airlines but never once spoke to a human; my mechanical interlocutor seemed no less capable than the Indian call-center operatives it replaced. Outsourcing to India and China may be only a brief historical interlude before the great outsourcing yet to come — to machines. And as machines expand their domain, basic wages could easily fall so low that families cannot support themselves without public assistance. Rising health spending — from 5 percent of U.S. annual income in 1960 to 16 percent today — is no tragedy. Thanks to such spending, we can all live longer. But as medical advances allow us to live far beyond our working years, with the average American adult living to 78, the burden on the public purse will rise. Of the 47 million currently uninsured Americans, most will need public assistance to get adequate care. The United States was founded, essentially, on resistance to taxes, and to this day, an aversion to the grasping hand of the state seems fundamental to the American psyche. The share of total income collected in taxes by all levels of government in the United States is 27 percent, compared with 51 percent in Sweden, at the other extreme. The conflicts to come are foreshadowed in California, where popular anti-tax sentiment has forced substantial reductions in medical care for the state’s poorest children. Unfortunately, such measures are only stopgaps. In the end, we may be forced to learn to live in a United States where, by stealth, “from each according to his ability, to each according to his need” becomes the guiding principle of government — or else confront growing, unattended poverty. accuracy of the hypothesis. Over the years exceptions and “anomalies” have been discovered (even tiny departures are interesting if you are managing enough money) but for the purposes of macroeconomic analysis and forecasting these departures are too small to matter. The main lesson we should take away from the EMH for policymaking purposes is the futility of trying to deal with crises and recessions by finding central bankers and regulators who can identify and puncture bubbles. If these people exist, we will not be able to afford them. The Economist’s briefing also cited as an example of macroeconomic failure the “reassuring” simulations that Frederic Mishkin, then a governor of the Federal Reserve, presented in the summer of 2007. The charge is that the Fed’s FRB/US forecasting model failed to predict the events of September 2008. Yet the simulations were not presented as assurance that no crisis would occur, but as a forecast of what could be expected conditional on a crisis not occurring. Until the Lehman failure the recession was pretty typical of the modest downturns of the post-war period. There was a recession under way, led by the decline in housing construction. Mr Mishkin’s forecast was a reasonable estimate of what would have followed if the housing decline had continued to be the only or the main factor involved in the economic downturn. After the Lehman bankruptcy, too, models very like the one Mr Mishkin had used, combined with new information, gave what turned out to be very accurate estimates of the private-spending reductions that ensued over the next two quarters. When Ben Bernanke, the chairman of the Fed, warned Hank Paulson, the then treasury secretary, of the economic danger facing America immediately after Lehman’s failure, he knew what he was talking about. Mr Mishkin recognised the potential for a financial crisis in 2007, of course. Mr Bernanke certainly did as well. But recommending pre-emptive monetary policies on the scale of the policies that were applied later on would have been like turning abruptly off the road because of the potential for someone suddenly to swerve head-on into your lane. The best and only realistic thing you can do in this context is to keep your eyes open and hope for the best. After Lehman collapsed and the potential for crisis had become a reality, the situation was completely altered. The interest on Treasury bills was close to zero, and those who viewed interest-rate reductions as the only stimulus available to the Fed thought that monetary policy was now exhausted. But Mr Bernanke immediately switched gears, began pumping cash into the banking system, and convinced the Treasury to do the same. Commercial-bank reserves grew from $50 billion at the time of the Lehman failure to something like $800 billion by the end of the year. The injection of Troubled Asset Relief Programme funds added more money to the financial system. There is understandable controversy about many aspects of these actions but they had the great advantages of speed and reversibility. My own view, as expressed elsewhere, is that these policies were central to relieving a fear-driven rush to liquidity and so alleviating (if only partially) the perceived need for consumers and businesses to reduce spending. The recession is now under control and no responsible forecasters see anything remotely like the 1929-33 contraction in America on the horizon. This outcome did not have to happen, but it did. Both Mr Bernanke and Mr Mishkin are in the mainstream of what one critic cited in The Economist’s briefing calls a “Dark Age of macroeconomics”. They are exponents and creative builders of dynamic models and have taught these “spectacularly useless” tools, directly and through textbooks that have become industry standards, to generations of students. Over the past two years they (and many other accomplished macroeconomists) have been centrally involved in responding to the most difficult American economic crisis since the 1930s. They have forecasted what can be forecast and formulated contingency plans ready for use when unforeseeable shocks occurred. They and their colleagues have drawn on recently developed theoretical models when they judged them to have something to contribute. They have drawn on the ideas and research of Keynes from the 1930s, of Friedman and Schwartz in the 1960s, and of many others. I simply see no connection between the reality of the macroeconomics that these people represent and the caricature provided by the critics whose views dominated The Economist’s briefing. On a visit to the London School of Economics last November, the Queen asked why no one saw the financial crisis coming. For if people with enough authority and influence had foreseen it, some preventive action would have been taken and either the crisis would not have occurred, or it would at least have taken a different form. The British Academy convened in June a forum of “experts from business, the City, its regulators, academia and government” to debate an answer to the question. The result was a letter to Her Majesty by Professors Tim Besley and Peter Hennessy purportedly summarising the views of the participants. Although I was listed as an attendee, I have to dissociate myself from the views expressed. The letter starts off by saying that “many people did foresee the crisis” but no one foresaw the form it would take and its timing, onset and ferocity. It ended by expressing the hope that the various establishment bodies represented “might develop a new shared, horizon-scanning capability so that you never need to ask that question again”. Some hope. I am reminded of the sinking of the Titanic in 1912 with the loss of 1,500 lives. The ship had been considered unsinkable. In contemporary discussion, economists have been put in the role of the Titanic’s designers. The popular view of economists is that they exist to make forecasts and do so badly. One of the more basic rules of the subject is that where a demand exists some people will come forward to supply it. The economists who have done so for forecasts have accordingly fallen flat on their faces. Their usual response is that most of the time they get it reasonably right. But what matters is whether they can identify significant turning points and systemic failures in good time. They cannot. This does not mean the subject is valueless. Evolutionary biologists cannot predict the future of the human race, even though some novelists, such as H.G. Wells, have tried. It is fruitful to enquire who economists are and what they actually do. This was attempted by the Royal Economic Society in a survey summarised by Ruth Towse and Mark Blaug in an Economic Journal article in March 1990. They came up against the problem that, in contrast to, say, engineers or accountants, “there is no precise way to define the economics profession”. They settled for “someone with at least a second degree in economics” (which thankfully lets me off the hook). Only 8 per cent of economics undergraduates went on to higher degrees but “this has never been allowed to undermine the perception of most academic teachers” that “all their pupils must be trained as if they were going to be professional economists”. On this definition they estimated that in the UK there were then 3,500 practising economists of whom 2,500 were academics, 600 in private business and 400 in the government. The high salaries paid to some City economists were “atypical”. My own observation is that their repute declined so much after events such as the UK’s forced departure from the exchange rate mechanism in 1992 that some practitioners redefined themselves as “strategists”. A follow-up article by Stephen Machin and Andrew Oswald in June 2000 lamented the decline in the number of British students beginning economics PhDs. In October 1998 there were for instance three in Cambridge and zero at the London School of Economics. The authors remark that it should be made clear to parents that “within the foreseeable future their children and grandchildren will not be taught at university by UK-born economists”. It is also difficult to quarrel with their observation that “private-sector economists draw upon ideas that were discovered in university corridors”, principally US corridors. We therefore need to examine US-style mainstream economics. An excellent introduction to the best of these ideas can be found in Partha Dasgupta’s contribution to the Oxford University Press Very Short Introduction series, published in 2007 just before the present crisis. He hardly mentions macroeconomics and presents mathematical and statistical findings in straightforward prose. The format is a comparison of the life chances of one girl in the suburban Midwest of the US and another in south-west Ethiopia. He does not play on western guilt feelings and puts much emphasis on institutional and political factors once regarded as “not economics”. If you think his focus is politically chosen, note that Prof Robert Lucas, the doyen of Chicago free market economics, also believes no problem is more important than reducing the gap between such societies. But at least for the time being, the weakness of the western financial system and the prospect of renewed recession have come to be the biggest threats to the development of the poorer countries. It is not encouraging to find surveys of US graduate students reporting that the great majority believed that skill in mathematical manipulation was far more important for their careers than knowledge of their own or any other economy. At the very least both should have equal weight. The Queen’s question is understandable, given the subject’s claims on its own behalf. Ever since modern economics started in the 18th century it has presented itself as a predictive discipline, akin to a natural science. Since the future a year ago included the present slump, it is natural that the failure of the economics profession – with a few exceptions – to foresee the coming collapse should have discredited its scientific pretensions. Economics is revealed to have no more clothes than other social science. One cannot imagine the Queen in, say, nine months’ time, asking a leading political scientist: “Why did no one tell me that Labour was going to win the election?” She would understand that this was not a prediction that any political scientist could make with conviction, however much time he had spent studying present and past opinion polls. Nevertheless, the Queen’s question was wrong, because it accepted at face value the predictive claim of economics – a feature that has distinguished it from all other social sciences. Karl Popper produced a famous argument against the possibility of prediction in human affairs: one cannot anticipate a new invention because, if one could, one would already have invented it. However, this objection can be overcome if one assumes a stable and repetitive universe in which rational actors make efficient use of the information available to them. In this environment, uncertainty disappears to be replaced by calculable risk. Shocks and mistakes may occur but these will cancel each other out, so that, on average, people get what they expect. An important implication of this view is that shares are always correctly priced. This is the basis of the so-called efficient market hypothesis that has dominated financial economics. It led bankers into blind faith in their mathematical forecasting models. It led governments and regulators to discount the possibility that financial markets could implode. It led to what Alan Greenspan called (after he had stepped down as chairman of the US Federal Reserve) “the underpricing of risk worldwide”. It has also led to the discrediting of mainstream macroeconomics. The efficient market hypothesis is simply an application of the recently triumphant New Classical school, which preaches that a decentralised market system is always at full employment. In their obsession with getting government out of economic life, Chicago economists claimed that any consistent set of policies will be learnt and anticipated by a population, and will therefore be ineffective. Since people – apparently including the 10 per cent or so unemployed – are already in their preferred position because of their correct anticipations and instantaneous adjustment to change, “stimulus” policies are bound to fail and even make things worse. Recessions, in this view, are “optimal”. Most of those unversed in New Classical economics assume that John Maynard Keynes exploded these fallacies 70 years ago. Their re-emergence is not just the result of the failure of Keynesian macroeconomic policy to anticipate or deal with “stagflation” in the 1970s. It reflects a persistent bias in economics towards an idealised account of human behaviour; what Joseph Schumpeter called the “Ricardian Vice” of excessive abstraction. It is only by imagining a mechanical world of interacting robots that economics has gained its status as a hard, predictive science. But how much do its mechanical constructions, with their roots in Newtonian physics, tell us about the springs of human behaviour? One of the most interesting contributions to the FT.com debate was the argument that, after Keynes, economists should have aligned their discipline with other social sciences concerned with human behaviour. Keynes opened the way to political economy; but economists opted for a regressive research programme, disguised by sophisticated mathematics, that set it apart. The present crisis gives us an opportunity to try again. Beyond this, the postgraduate study of macroeconomics might with advantage be separated from that of microeconomics. Courses in microeconomics should concern themselves, as at present, with the building and testing of models based on a narrow set of assumptions. Their field of applicability lies in those areas where we have reliable views of the future. Macroeconomics, though, is an essential part of the art of government, and should always be taught in conjunction with subjects bearing on this. The obvious aim of such a reconstruction is to protect macroeconomics from the encroachment of the methods and habits of the mathematician. Only through some such broadening can we hope to provide a proper education for those whose usefulness to society will lie as much in their philosophical and political literacy as in their mathematical efficiency. Fresh signs of a nascent economic recovery came from hard-hit Europe on Thursday, with Germany and France unexpectedly becoming the first major industrialized nations to officially pull out of the global recession. Though their recoveries were modest by virtually any standard and may yet stall in the months ahead, the surprising bounce back to growth in Europe’s largest economies comes on the heels of steadily rising economic optimism across the globe. Analysts are pointing to improving indicators in the United States, China and even Japan, the world’s second-largest economy, which some observers predict is set to announce its own return to growth in the coming days. Though a host of other European economies — including Britain, Italy and Spain — are still mired in one of the worst recessions in generations, contractions are moderating even in many of those nations, an indication that they too may be close to rebounding. It underscores, analysts say, how ramped-up government stimulus spending around the globe appears to be having at least some of its desired effects. A significant rebound in the global economy could both help and hurt the United States. Growth abroad could fuel an eagerly anticipated uptick in U.S. exports, boosting the manufacturing sector and potentially channeling more investment into U.S. soil. Yet too quick an increase in global demand could spark a painful price spike for commodities such as oil, driving up inflation before the United States and other nations have fully emerged from recession. In the United States, the Federal Reserve this week signaled that it sees the American recession easing. The central bank said that it will begin pulling back from two years of unprecedented intervention in the economy this October. Even countries that were spiraling downward only a few months ago, such as South Korea, appear to be on more stable ground. The International Monetary Fund this week predicted that the South Korean recession, while severe, may not be as deep this year as originally thought. The turnaround in Germany and France drove up major stock indexes from Seoul to Paris to Moscow on Thursday, while the euro gained more ground against the dollar. The Dow Jones closed up 36.58 points, to 9398.19. Yet analysts including Badiani caution that it is still far too early, and that the indicators remain too weak, to declare the global recession dead. Recent gains, particularly in Europe, mask the still-ample threat of more pain ahead. In Germany, economic activity jumped 0.3 percent from April to June compared with the previous three months after a 3.5 percent quarterly contraction in the beginning of the year. Though detailed economic data have yet to be released, the rebound in the second quarter there, analysts said, came partly from consumer spending related to government-sponsored programs, such as a cash for clunkers plan, that are set to expire soon. In addition, the German government so far has cushioned job losses through state-sponsored corporate incentives that are also due to run out, leading many analysts to predict a further surge in the unemployment rate there in months ahead. France also reported growth of 0.3 percent in the quarter. Economists also do not discount a fresh wave of bank rescues in Europe, where financial officials are still under pressure to do more to force the cleanup of balance sheets at ailing institutions. Recent signs of recovery will also be tested if, as many observers predict, unemployment rates across Europe continue to edge higher. With many analysts also predicting a “jobless recovery” in the United States, such as the one following the 2001 recession, a projected global turnaround later this year may be more visible in statistical calculations than in consumer pocketbooks around the world. Though Germany and France may have exited their yearlong recessions, Europe as a whole is still struggling. Economic activity across the 16 member nations that use the euro fell by 0.1 percent in the second quarter, the European statistical office reported Thursday. The drop was less than predicted by most economists, but it signals that the deep recession that started in Europe in the first half of 2008 continues. Just Wednesday, the European statistical office also reported that June industrial production fell 0.6 percent from a month earlier while the unemployment rate climbed to a 10-year high of 9.4 percent. Yet optimists were taking heart on signs that Germany and France — now statistically ahead of the United States in the race toward recovery — were aided in the quarter from April to June by recovering global demand for everything from German-made power plants to French cheese. In both nations, exports, which had fallen off a cliff in recent months, either ceased their precipitous fall or edged upward. Those are among the strongest signs yet, analysts say, that robust growth in China and a budding recovery in the United States may finally be pumping life back into world trade, which suffered its worst declines since World War II recently. WORLD VIEW: ‘THINK ASIA!” That’s what the organisers of the sixth international conference of Asian scholars urged those attending it to do last week in the South Korean city of Daejeon. Over 1,000 people discussed all manner of subjects in 200 different panels, from Aspects of Nomadism in Mongolia to Nature in Chinese Prose, Poetry and Philosophy to Security in the Post-Bush era to Europe in the Eyes of Asia. The question of how best to define Asia, whether geographically, culturally or functionally, was a preoccupation. Geographers debate whether it is a continent, subcontinent or region, part of Eurasia or the Asia-Pacific. What of Russia, Central Asia, Turkey, India and the Middle East? Our vocabulary of Near, Middle and Far East originated in 19th century European imperial geopolitics. Seen from China or Korea it is just as plausible to define Europe as the “western excrescence of the continent of Asia”, as geographer Barry Cunliffe puts it. The Danes, after all, have a saying that Asia begins in Malmö. Culturally it is assumed that Asia, however defined, is qualitatively more diverse than Europe. Linguistically, religiously and in terms of separate histories and civilisations this is commonly asserted – although rarely examined systematically. Large conclusions are thereby drawn about the possible future and forms of Asian common action: the more diverse it is, the less capable it will be of becoming a coherent actor in world affairs. Whether that will continue to be so, or if it is in any case true now or in the past, is a fascinating debate thrown up by current developments. During the cold war period Asia was fragmented by conflicts between the two blocs and associated political and economic dependencies on the United States, Russia or China. These made efforts to assert a common Asian post-colonial identity difficult, despite the efforts of Nehru, Sukarno and others in the 1950s. Pan-Asian ideology used to justify Japan’s imperialism in the inter-war period discredited the notion. Nevertheless the Association of South-East Asian Nations was formed by Indonesia, Singapore, Malaysia, the Philippines and Thailand in 1967 and has now grown to include Brunei, Burma, Vietnam, Laos and Cambodia. In response to greater regional interdependence and the need to interact with other world regions it has since spawned Asean+3 to create a relationship with China, South Korea and Japan, and more recently Asean+6 to include India, Australia and New Zealand. Asean’s institutional capacity has been strengthened to match these developments, which have made it a hub others gather around. It altogether lacks the EU sharing of sovereignty, being strongly committed to norms of non-interference in domestic affairs – “the Asean way”. But could the growing effects of transnational production links in the Asian region, the need to co-ordinate monetary, financial and economic responses to international shocks like those of 1997 and 2008, together with the desire to develop more common political action in a world setting create conditions for a closer political integration of Asian states? In that case the EU would become at least a referent, if not a model, for the Asian region. Partly in anticipation of such a development the EU has opened more offices in the region, reinforced its commitment to political dialogue there and sponsored the Asia-Europe Foundation (Asef) based in Singapore as a joint cultural and research centre. These efforts to develop links between the two regions supplement those of individual EU member states. 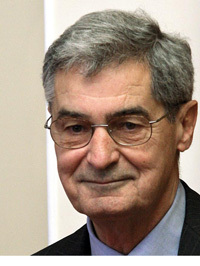 Explaining this commitment in a speech to the conference, Asef’s director general Dominique Girard said it was intended to diminish mutual indifference and dissolve prejudices arising from history and distance. It should encourage inter-regional partnerships of a new kind, based on an understanding that while conflicting interests will persist they can be attenuated by a better comprehension based on realities rather than presuppositions. That is all the more important as global governing structures shift away from the brief US unipolar hegemony to a more multi-polar world in which a Europe-Asia dialogue can reinforce their mutual identities. Research shows the EU is almost invisible in Asian media, public opinion and elite groups as an actor in world affairs, compared to action by the US or individual EU member states. But there is some increasing recognition that with the euro, in world trade talks and on issues like climate change, the EU has a capacity for action. And Javier Solana, its outgoing high representative on foreign affairs, is understood as a representative figure in Asia – a finding that reinforces expectations of improved external perceptions if the Lisbon Treaty is passed. A forthcoming study of how Asia is perceived in the EU will allow comparisons to be made. Another keynote speaker, the Korean philosopher Young-Oak Kim, argued that “the Eurocentric historical view of the world can no longer hold itself as a model of universally valid values”, but that Asia can do so. Originally, indeed, Graeco- Roman civilisation was a derivative and secondary offshoot of more original self-originating Asian and Middle Eastern ones. So were all the major religions – Confucialism, Taoism, Hinduism, Buddhism, Zoroastrianism, Judaism, Christianity and Islam. Besides being a Jew, Jesus was also an Asian, familiar with these traditions. Looking forward, Kim hopes China can demonstrate the moral leadership that would allow Asia “to create a union similar to the EU”, on which its fate depends. That unlikely scenario would certainly transform Europe-Asia relations. WASHINGTON — Ben S. Bernanke, chairman of the Federal Reserve, no longer looks sleep-deprived. He still works seven days a week, but earlier this month he took two days off — for the first time in two years — to attend his son’s wedding. And he often gets home for dinner and even out to baseball games every few weeks. As central bankers and economists from around the world gather on Thursday for the Fed’s annual retreat in Jackson Hole, Wyo., most are likely to welcome Mr. Bernanke as a conquering hero. In Washington and on Wall Street, it would be a surprise if President Obama did not nominate Mr. Bernanke for a second term, even though he is a Republican and was appointed by President George W. Bush. But the White House has remained silent. And despite Mr. Bernanke’s credibility in financial circles, both he and the Fed as an institution have come under political fire from lawmakers in both parties over the handling of particular bailouts and the scope of the Fed’s power. He has been frustrated that many in Congress do not give the Fed what he believes is enough credit for what it has accomplished. Indeed, Mr. Bernanke has met privately with hundreds of lawmakers in recent months to explain the Fed’s strategy. Fellow economists, however, are heaping praise on Mr. Bernanke for his bold actions and steady hand in pulling the economy out of its worst crisis since the 1930s. Tossing out the Fed’s standard playbook, Mr. Bernanke orchestrated a long list of colossal rescue programs: Wall Street bailouts, shotgun weddings, emergency loan programs, vast amounts of newly printed money and the lowest interest rates in American history. Even one of his harshest critics now praises him. “He realized that the great recession could turn into the Great Depression 2.0, and he was very aggressive about taking the actions that needed to be taken,” said Nouriel Roubini, chairman of Roubini Global Economics, who had long criticized Fed officials for ignoring the dangers of the housing bubble. But Mr. Bernanke is hardly breathing easy. Unemployment is still at 9.4 percent, and the central bank’s own forecasts assume that it will remain that high through the end of next year. Even if all goes according to plan, Fed officials said, Mr. Bernanke’s current popularity could sink if the recovery proves slower than many people expect. While the White House keeps mum about Mr. Bernanke’s future, the leading Democratic candidates to replace him include Lawrence H. Summers, director of the National Economic Council; Janet L. Yellen, president of the Federal Reserve Bank of San Francisco; Alan S. Blinder, a Princeton economist and former Fed vice chairman; and Roger Ferguson, another former Fed vice chairman. Mr. Bernanke faces two major challenges. On the economic front, the Fed has to decide when and how it will reverse all its emergency measures and raise interest rates back to normal without either stalling the economy or igniting inflation. On the political front, Mr. Bernanke is trying to defend the Fed’s power and independence as the White House and Congress debate plans to overhaul the system of financial regulation. Democrats like Senator Christopher J. Dodd of Connecticut, chairman of the Senate Banking Committee, contend that the Fed was too cozy with banks and Wall Street firms as the mortgage crisis was building. House Republicans, and some Democrats, complain that the Fed already has too much power. “Why does the Fed deserve more authority when institutionally it seemed to have failed to prevent the current crisis?” asked Senator Dodd last month. The political battle over President Obama’s plan to overhaul financial regulation has put Mr. Bernanke in an awkward position. Fed officials support the administration’s proposals to put them in charge of systemic risk like the growth of reckless mortgage lending or the misuse of financial derivatives. But they chafe at the plan to shift the Fed’s consumer-protection functions, which protect people from deceptive and unfair lending practices, to a new agency. Mr. Bernanke has avoided publicly criticizing the White House’s call for an independent consumer regulatory agency. While acknowledging that the Federal Reserve did nothing to stop mortgage practices during the housing bubble, Mr. Bernanke has argued that the Fed has since written tough new protections for both mortgage borrowers and credit card customers. “We think the Fed can play a constructive role in protecting consumers,” he told the House Financial Services Committee last month. Mr. Bernanke and other Fed officials now concede they failed to anticipate the full danger posed by the explosion of subprime mortgage lending. As recently as the spring of 2007, Mr. Bernanke still contended that the problems of the housing market were largely “contained” to subprime mortgages. When panic over mortgage-backed securities began spreading through the broader credit markets in late July 2007, Fed officials initially refused to cut interest rates. By December 2007, Mr. Bernanke became increasingly convinced that the economy itself was in trouble but policy makers were unable to reach agreement and decided not to reduce interest rates. At a meeting on Jan. 21, 2008, the Fed slashed the benchmark federal funds rate by 0.75 percent, to 3.5 percent, the biggest one-time reduction in decades. Nine days later, officials cut the rate again, down to 3 percent. As the credit crisis deepened, Mr. Bernanke urged Fed officials to devise proposals that had never been tried before. They responded with a kaleidoscope of emergency loan programs to a wide array of industries. “He has had tremendous courage throughout this episode,” said Frederic S. Mishkin, a professor at Columbia University’s business school and a former Fed governor. Amid the chaos, Fed and Treasury officials made numerous mistakes. Their original idea for the $700 billion to buy up bad mortgage assets held by banks has yet to get off the ground. But economists say Mr. Bernanke’s most important accomplishment was to create staggering amounts of money out of thin air. All told, the Federal Reserve has expanded its balance sheet to $1.9 trillion today, from about $900 billion a year ago. Analysts now caution that Mr. Bernanke’s job is only half complete. He will eventually have to reel all that money back. He has already laid out elements of the Fed’s “exit strategy,” but Fed officials have been careful to say it is still too early to pull back any time soon. NEW DELHI – As China and India gain economic heft, they are drawing ever more international attention at the time of an ongoing global shift of power to Asia. Their underlying strategic dissonance and rivalry, however, usually attracts less notice. As its power grows, China seems determined to choke off Asian competitors, a tendency reflected in its hardening stance toward India. This includes aggressive patrolling of the disputed Himalayan frontier by the People’s Liberation Army, many violations of the line of control separating the two giants, new assertiveness concerning India’s northeastern Arunachal Pradesh state – which China claims as its own – and vituperative attacks on India in the state-controlled Chinese media. The issues that divide India and China, however, extend beyond territorial disputes. Water is becoming a key security issue in Sino-Indian relations and a potential source of enduring discord. China and India already are water-stressed economies. The spread of irrigated farming and water-intensive industries, together with the demands of a rising middle class, have led to a severe struggle for more water. Indeed, both countries have entered an era of perennial water scarcity, which before long is likely to equal, in terms of per capita availability, the water shortages found in the Middle East. Rapid economic growth could slow in the face of acute scarcity if demand for water continues to grow at its current frantic pace, turning China and India – both food-exporting countries – into major importers, a development that would accentuate the global food crisis. Even though India has more arable land than China – 160.5 million hectares compared to 137.1 million hectares – Tibet is the source of most major Indian rivers. The Tibetan plateau’s vast glaciers, huge underground springs and high altitude make Tibet the world’s largest freshwater repository after the polar icecaps. Indeed, all of Asia’s major rivers, except the Ganges, originate in the Tibetan plateau. Even the Ganges’ two main tributaries flow in from Tibet. But China is now pursuing major inter-basin and inter-river water transfer projects on the Tibetan plateau, which threatens to diminish international-river flows into India and other co-riparian states. Before such hydro-engineering projects sow the seeds of water conflict, China ought to build institutionalized, cooperative river-basin arrangements with downstream states. Upstream dams, barrages, canals, and irrigation systems can help fashion water into a political weapon that can be wielded overtly in a war, or subtly in peacetime to signal dissatisfaction with a co-riparian state. Even denial of hydrological data in a critically important season can amount to the use of water as a political tool. Flash floods in recent years in two Indian frontier states – Himachal Pradesh and Arunachal Pradesh – served as an ugly reminder of China’s lack of information-sharing on its upstream projects. Such leverage could in turn prompt a downstream state to build up its military capacity to help counterbalance this disadvantage. In fact, China has been damming most international rivers flowing out of Tibet, whose fragile ecosystem is already threatened by global warming. The only rivers on which no hydro-engineering works have been undertaken so far are the Indus, whose basin falls mostly in India and Pakistan, and the Salween, which flows into Burma and Thailand. Local authorities in Yunnan province, however, are considering damming the Salween in the quake-prone upstream region. India’s government has been pressing China for transparency, greater hydrological data-sharing, and a commitment not to redirect the natural flow of any river or diminish cross-border water flows. But even a joint expert-level mechanism – set up in 2007 merely for “interaction and cooperation” on hydrological data – has proven of little value. The most dangerous idea China is contemplating is the northward rerouting of the Brahmaputra river, known as Yarlung Tsangpo to Tibetans, but which China has renamed Yaluzangbu. It is the world’s highest river, and also one of the fastest-flowing. Diversion of the Brahmaputra’s water to the parched Yellow river is an idea that China does not discuss in public, because the project implies environmental devastation of India’s northeastern plains and eastern Bangladesh, and would thus be akin to a declaration of water war on India and Bangladesh. Nevertheless, an officially blessed book published in 2005, Tibet’s Waters Will Save China , openly championed the northward rerouting of the Brahmaputra. Moreover, the Chinese desire to divert the Brahmaputra by employing “peaceful nuclear explosions” to build an underground tunnel through the Himalayas found expression in the international negotiations in Geneva in the mid-1990s on the Comprehensive Test Ban Treaty (CTBT). China sought unsuccessfully to exempt PNEs from the CTBT, a pact still not in force. The issue now is not whether China will reroute the Brahmaputra, but when. Once authorities complete their feasibility studies and the diversion scheme begins, the project will be presented as a fait accompli . China already has identified the bend where the Brahmaputra forms the world’s longest and deepest canyon – just before entering India – as the diversion point. China’s ambitions to channel Tibetan waters northward have been whetted by two factors: the completion of the Three Gorges Dam, which, despite the project’s glaring environmental pitfalls, China trumpets as the greatest engineering feat since the construction of the Great Wall; and the power of President Hu Jintao, whose background fuses two key elements – water and Tibet. Hu, a hydrologist by training, owes his swift rise in the Communist Party hierarchy to the brutal martial-law crackdown he carried out in Tibet in 1989. China’s hydro-engineering projects and plans are a reminder that Tibet is at the heart of the India-China divide. Tibet ceased to be a political buffer when China annexed it nearly six decades ago. But Tibet can still become a political bridge between China and India. For that to happen, water has to become a source of cooperation, not conflict.